Can you hear it? 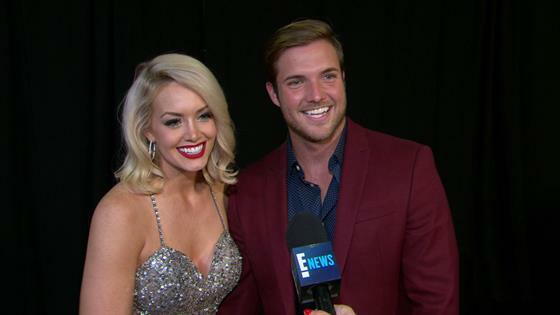 Over the cries, accusations and rehashing of drama, they're there, in the distance, Bachelor in Paradise wedding bells! In the video above, Jenna and Jordan also detail what it's like existing as a couple after leaving Paradise. "I think I'm going to be the one to leave Florida," Jordan told us. "I think I could use a new chapter in my life, so, we're literally in talks about that right now." "I think we're being really realistic about it too. It makes sense for our careers, where we're at right now," Jenna added about the move. The duo set June 9th as their wedding date. Why? It's Jenna's birthday and the day they met while filming Paradise, Jordan revealed. Say it with us: "Awww!" As for who's in their wedding party, expect plenty of familiar faces. Meanwhile, Krystal and Chris showed off the engagement ring to E! News ("I love a man who listens," Krystal said.) and revealed they've not set a date, but they were looking forward to all the planning and spending time together. "I'm very passionate," Chris said, "and I like to be around the woman I'm in love with." He said it's been difficult to not be able to be there for Krystal, who memorized Chris' number when they were on Paradise, in person. "It was really hard being apart," Krystal said. "Because we spent so much time with one another in Paradise, 20 hours a day for a month, and the distance was hard, but we have each other's back." She said she's excited to take the distance out of the equation because their lives are "so compatible." Both of those proposals went down on the beach in Mexico, but one couple didn't fare so well. 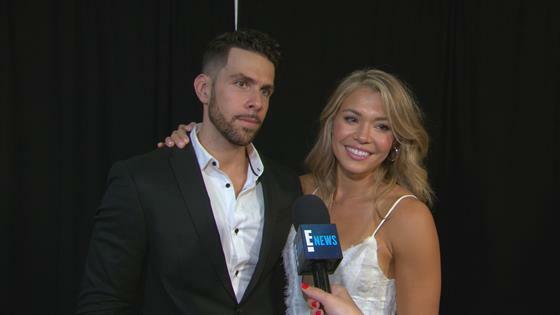 Annaliese Puccini was ready to go all in with Kamil Nicalek, and professed her love in a heartfelt speech, clearly expecting a proposal in return. Kamil admitted he wasn't there yet, and needed to take their relationship at his own pace. His pace turned out to involve dating Annaliese for weeks after filming ended, only to then dump her on stage in front of the audience and all of their former Paradise pals during the reunion. Of all the rude things that have happened on this franchise, that was actually up there with the worst. He explained right there on the couch that he might not be the guy for Annaliese, and while she's an amazing woman, he didn't want to string her along. Annaliese then pointed out that he had just booked them an Air BnB to stay together for the week, and he had no real explanation. Annaliese took a second to cry backstage, but then came back with the fury of a thousand dogs and bumper cars. "I tried to break up with you..." she said, and apparently he said he wasn't ready to let her go. Chris then sent Kamil away. Good riddance! In much happier news, Joe Amabile and Kendall Long revealed that they reconciled after their breakup during Paradise, and are now together, though long distance. To help with that long distance problem, Chris Harrison surprised Joe with an offer to join season 27 of Dancing with the Stars, and he said yes! ABC has also already announced that The Facts of Life star Nancy McKeon and Disney Channel's Milo Manheim will be dancing along with him, and sources tell E! News that singer Tinashe will also hit the dance floor. The full cast will be revealed on Wednesday, Sept. 12 on Good Morning America. Bachelor in Paradise aired on ABC.